Heritage High School and Heritage Middle School present a Veteran's Day Concert on Thursday, November 8th at 7:00 pm. The middle and high school chorus and band will perform. Admission is free! 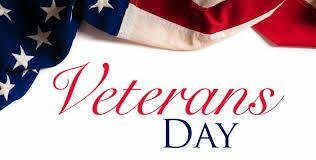 A special thanks to all of our Veterans for the roll they have played in protecting our country and our freedom!